Nico Ravanilla’s research is personal. Raised in a relatively poor province in the Philippines and in a family of politicians, he has witnessed how politics can be won and run well at a local level, as well as the ways a corrupt figurehead can derail or leave development stagnant in a community. Now, as an assistant professor at the UC San Diego School of Global Policy and Strategy (GPS), he’s armed with not only the degrees but also the campus resources to further shed light on this conundrum in this hometown and developing communities alike around the globe. 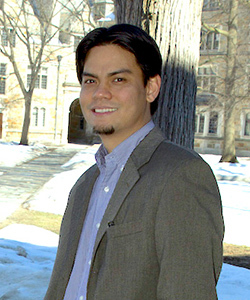 Ravanilla—who will be teaching Politics of Southeast Asia and Governance, Public Administration and Development in the fall at the School—hones his research on improving governance by improving the quality of the elected government in developing democracies. As a postdoctoral fellow at Stanford University’s Shorenstein Asia-Pacific Research Center for the past 10 months, he made several strides in this area of interest. In an attempt to get to the bottom of how to attract better and more able individuals to office, Ravanilla fielded an experiment in the Philippines with youth interested in running for public office—the Philippines is among few countries in the world to elect village youth councils (ages 18-21). Such an intervention is indeed feasible and can be effective in motivating able and moral individuals to seek public office while at the same time discouraging candidates who do not meet these criteria, Ravanilla discovered. It’s insights like these that he has committed his years of study to finding. Though, becoming a professor wasn’t always in his purview. By his final year as an undergraduate student in economics at University of Philippines, he saw research as a career trajectory worth pursuing—a realization resulting from Ravanilla winning an award for his thesis on the ways in which migration created inequality in the Philippines. A Fulbright Fellowship became his ticket, landing him admittance to the University of Michigan, where he earned his master’s in economics and Ph.D. in political science and public policy. Indisputably, Ravanilla said GPS was his “dream school” to start out his academic career. Likewise, Ravanilla has much to exult over at GPS, including making use of its Policy Design and Evaluation Lab for field experiments and randomized control trials. He also noted of looking forward to working with new colleagues at GPS and across campus and strengthening existing research collaborations. 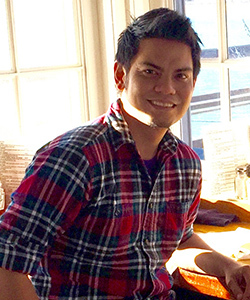 Ravanilla, for instance, with a Ph.D. candidate in economics at UC San Diego currently is fielding a survey in the Philippines for a project regarding the brokering process between politicians and voters. In a similarly timely fashion, given the Philippines is approaching an election, Ravanilla also is replicating his aforementioned leadership training workshop with an older set of political hopefuls. Good governance underpins the effective implementation of almost the entire development agenda. I believe my research on examining and improving the quality of the elected government plays a crucial role in the success of good governance initiatives. I hope students acquire skill sets that are useful in the real world and that they learn about other places such as Southeast Asia and then bring that knowledge into the problems they face in their work and social context. I focus on governance, political economy of development and Southeast Asia.